Our complete and customisable platform helps you manage audience relationships and find new ways to get meaningful insights. Now you can hear billions of internet users around the world. And not just hear but actually listen. Explore the web to collect online opinions and get a clear vision of how your brand is perceived online. Monitor billions of discussions on thousands of web sources such as news, blogs, forums, portals and social media. Analyse unlimited keywords in any language and get unlimited results. Easily set up any project and get instant access to real-time and historical data up to 3 years back. Track word-of-mouth and buzz marketing that is spreading around your brand. Find out the campaign extent and influencer impact on your market! If your needs go beyond a simple search based on a few keywords, you can set up a sophisticated project to make sure you get relevant results. At SentiOne, you can filter your mentions, tag or ignore some of them so you don’t experience information overload. You get illustrative data analysis, so you can truly see your audience’s needs and get valuable insights. 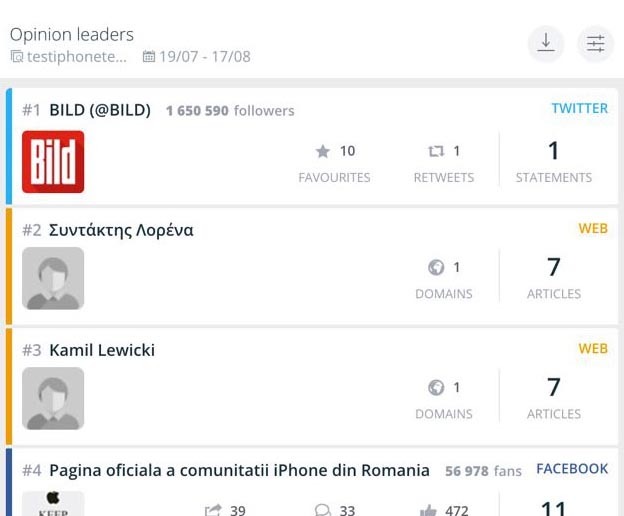 With the opinion leaders view, you can find out which particular mention gets the best reach. Discover the path to your loyal customers with the support of top social media influencers! 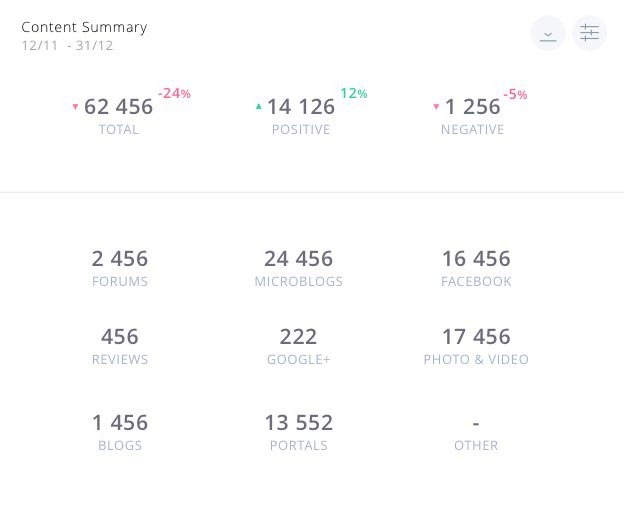 View the number of positive, negative, and neutral mentions for your keyword-based projects. We use proprietary algorithms to estimate the emotions behind the mentions. 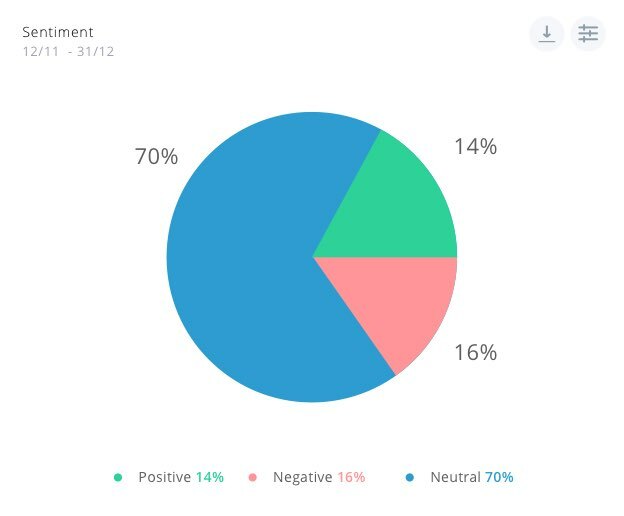 You get a clear view of where people are talking most about your chosen subject. 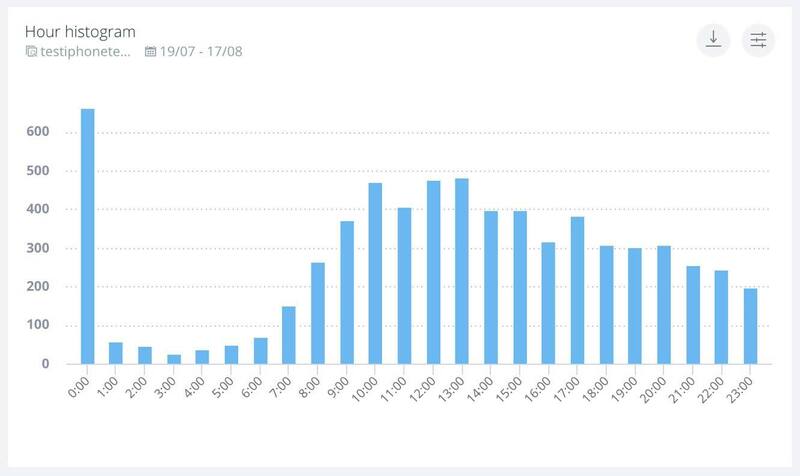 Compare charts showing the number of mentions on each source. Match up to your audience and improve your communication. 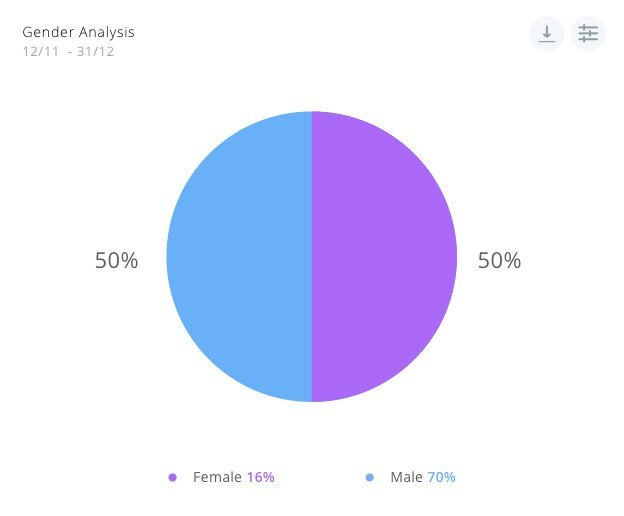 Find out whether your product is talked about more by men or women, so you can create better-suited campaigns! 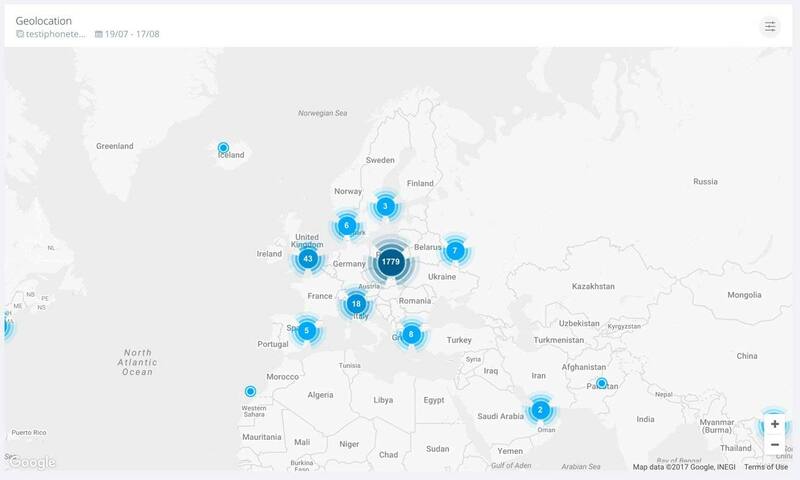 See your mentions on a map. You can learn where your product is popular and where you can increase the efforts! Track time periods when online discussions about your brand or product are the most lively. Become a part of these discussions to understand your audience. Prove your position in the market. Keep up. Step up. Stand out. Create a separate project to monitor your business rivals and use comparative dashboards for competitor analysis to make sure you get the drift. Identify the right target for your business. With proper customer analysis, you'll be able to communicate what matters most. Explore new opportunities in marketing research! Our sophisticated tool can help you with business intelligence. With SentiOne, you not only listen and analyse but also respond. 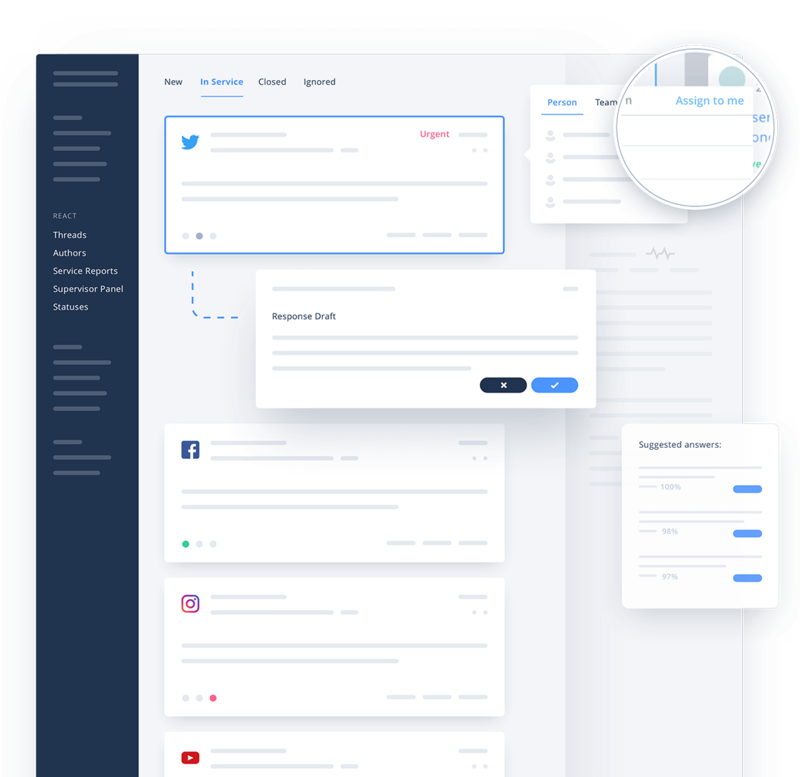 Integrate your social channels to communicate with your audience straight from all-in-one tool. Provide outstanding online customer care and win loyalty with ease. Manage your online reputation from one place. No more clicking through multiple social platforms to juggle your brand image! You simply react there and then. Always stay up-to-date. Anywhere you go, keep your reputation management tool set with you. Get it now on AppStore, Google Play. Integrate your social media profiles and join online conversations. Manage the interactions with your audience on every channel. Build your social engagement on audience relationships. Address your clients' needs in multiple markets! Mistakes happen even to the best. The key is to overcome them before they spread and damage your reputation. React instantly with SentiOne. Using SentiOne, you can view results and generate efficient reports. Discover the effects of your campaigns and optimise your actions. Evaluate and justify your decisions. Generate reports that show the results of your monitoring. You can create aesthetic periodic or comparative summaries for each of your projects with just a few clicks. Need one chart in the form of an image? Or maybe you want to create your own analysis based on raw data? You can have all the exports you want. Manage your web reputation to avoid online crises and demonstrate involvement in audience relationships. Explore our advanced data analytics and visual representation of actionable audience insights. Find what matters among unlimited mentions. Become a master of online media listening with the help of our customer support. Be sure you make data-driven decisions. SentiOne is designed to help you make the most of your online management. We want to meet all your needs so with enterprise plan you can get custom solutions. Choose the technologically advanced and secure suite! In the enterprise plan, you get access to data from more than 30 countries. This means you can compare what people are saying about your chosen subject in different countries and expand your business! The bigger the company gets, the more the needs. 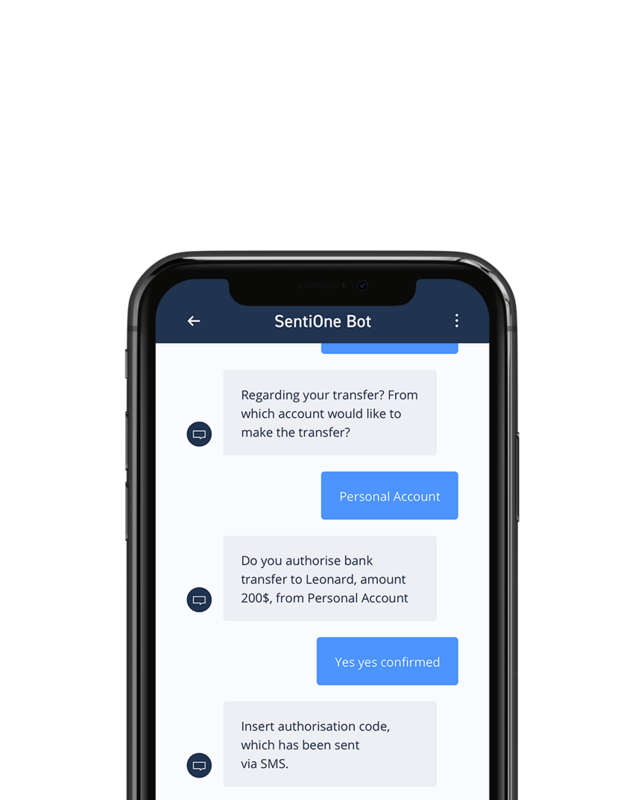 At SentiOne, you have no limits on the number of users that can access the application, because we know that it’s people who grow your business. If you ever wonder how to get relevant insights and make the right decisions based on unlimited data, your SentiOne dedicated Account Manager can lead you through any issues. SentiOne is one of the most sophisticated and advanced platforms on the market. So to make sure you get the most out of it, we help you configure your first projects and show you the details of unlimited online monitoring! Be the first to know what’s trending in your market by getting the results of our in-depth data analysis. Navigate your company in the right direction. Our platform is based on the proprietary technology that we’ve developed from scratch. If you are ever in need, we are able to add new functionalities or integrations for your company.